In the coastal village of Maiden Rock, Maine, Quinnie Boyd's teacher has disappeared. Quinnie thinks it's a kidnapping case, but her mom, the town sheriff, just thinks the teacher has left town. Still, Quinnie's going to follow her instincts that something's wrong. Her investigation takes her through a damp and smelly marsh, a lobster pound, and more of Maine's messiest places. She even gets help from her glamorous new neighbor, Mariella. As the girls hunt for clues around Maiden Rock, they encounter a cast of unlikely characters. And if Quinnie's hunch is right, the search may lead them right into danger . . . 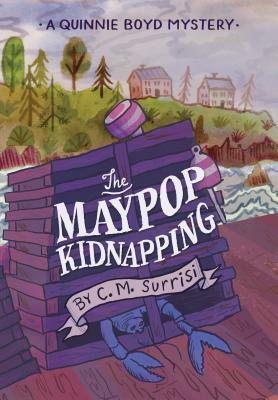 This hilarious and page-turning debut is the perfect whodunit story for middle school sleuths.